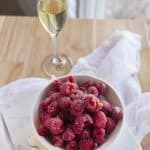 Champagne berries are a super simple recipe that you can serve all on their own, alongside a cheese plate, or for toppings on a fancy toast or crostini. It’s so simple I’m not even 100% the word recipe applies. 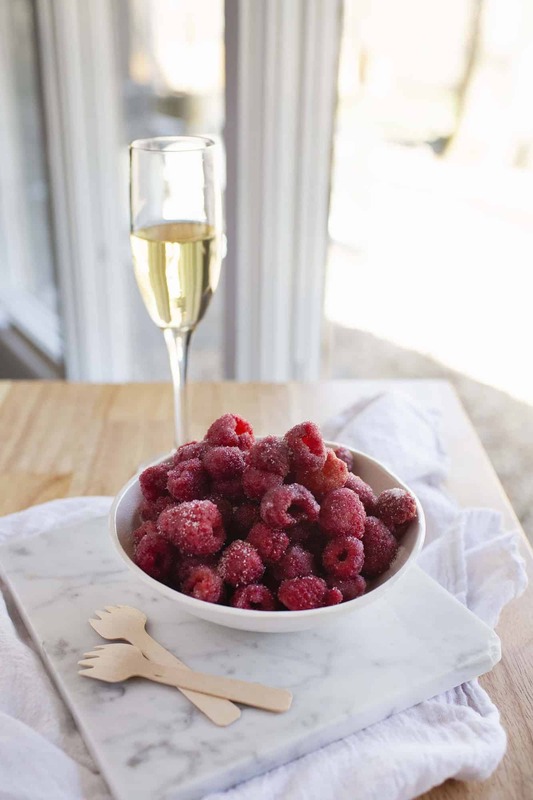 Champagne berries are the classy cousin of vodka soaked gummy bears. Ha! 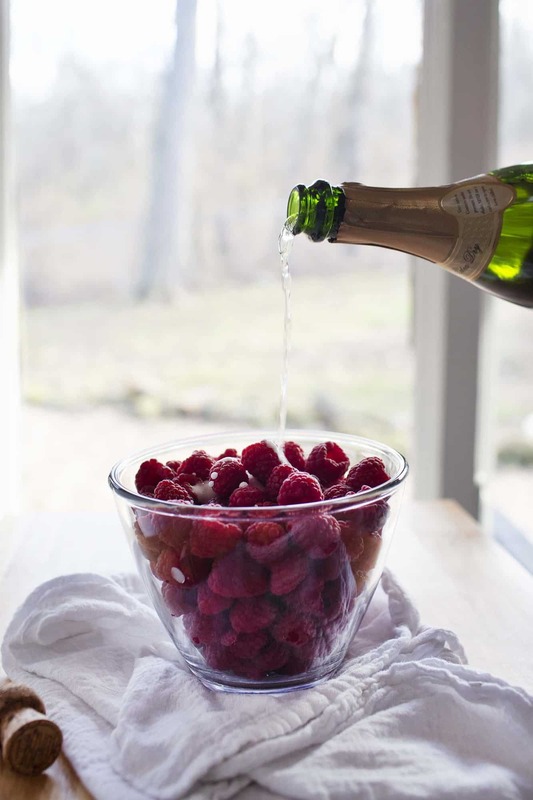 Soak the berries in the champagne, covered, in the refrigerator for 1 hour and up to overnight. Drain, then toss in the sugar. Freeze until you are ready to serve. 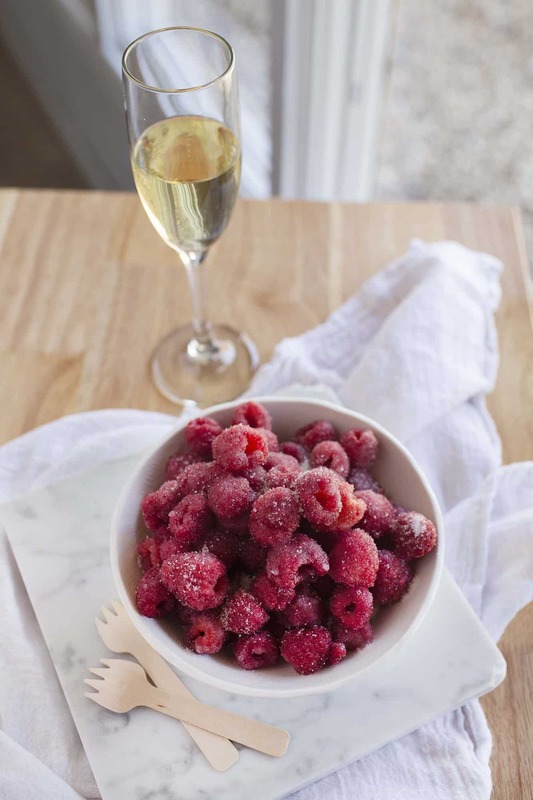 It’s best to freeze in a thin layer if possible, so you don’t end up with a giant frozen ball of berries. 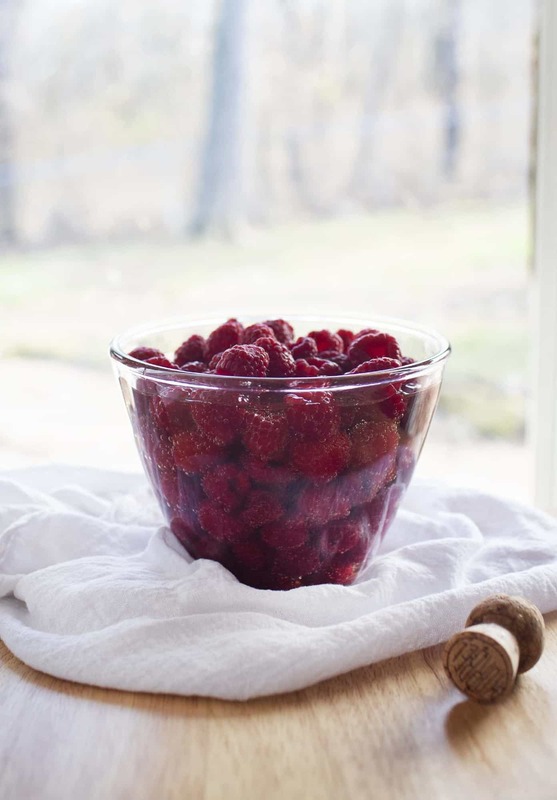 I will freeze the berries on a baking sheet for an hour or two and then condense to a bowl or reusable bag. That way they don’t all freeze together.